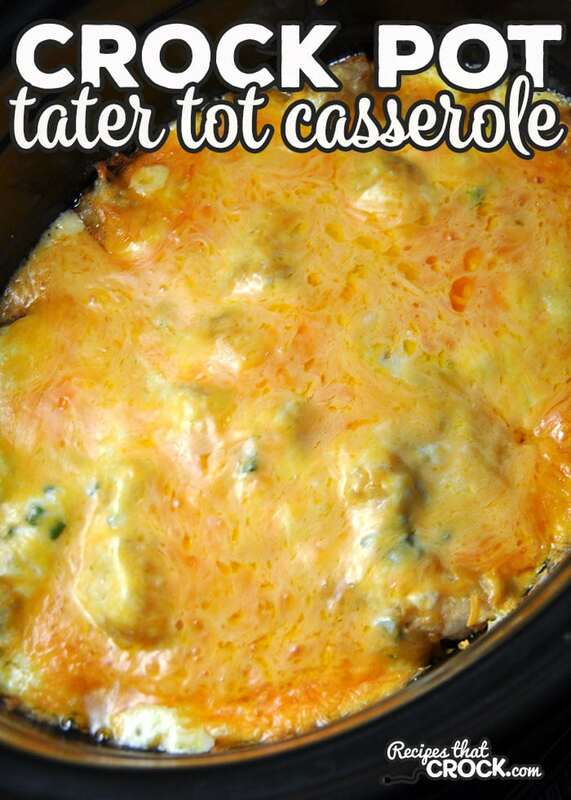 Crock Pot Tater Tot Casserole - Recipes That Crock! When you bring something to a potluck, you want everyone to be able to enjoy it. Nothing better than bringing home an empty dish! This Crock Pot Tater Tot Casserole is sure to be gobbled right up! I love a delicious recipe that is super easy to make. So when I saw the original recipe that I adapted into this Crock Pot Tater Tot Casserole in Gooseberry Patch’s Almost Homemade, you know I had to make it! This is a great recipe for a weeknight treat or to take to a cookout, potluck or holiday party! It is sure to be loved by all! Spray your 6-quart crock pot with cooking spray and pour in your tater tots. In a medium saucepan, melt your butter on the stove. Add in your soup, sour cream, chopped onions and 1 cup of Cheddar cheese. Stir over heat until everything is well combined and the cheese is almost all melted. Pour your mixture over your tater tots. Sprinkle on your remaining cheese. Cover and cook on high for 2 hours. And that’s it! 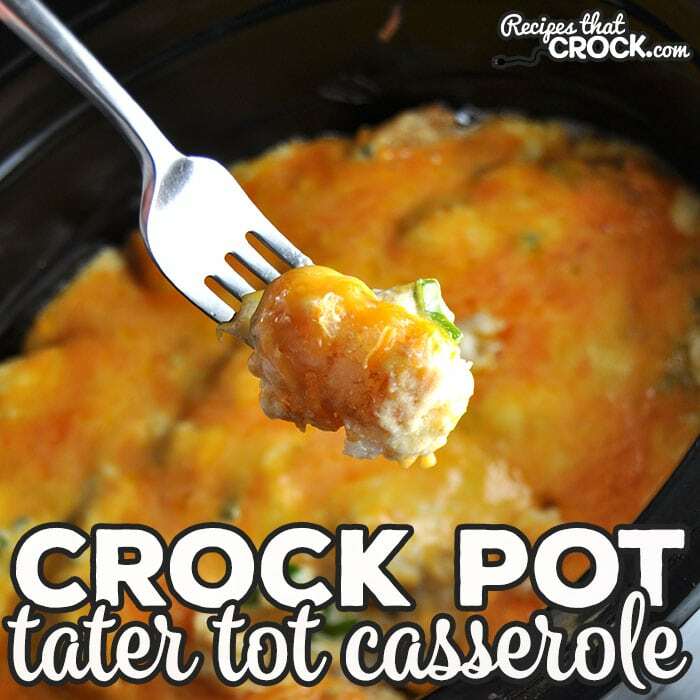 This Crock Pot Tater Tot Casserole is sure to be gobbled right up! Spray your 6-quart crock pot with cooking spray and pour in your tater tots. In a medium saucepan, melt your butter on the stove. Add in your soup, sour cream, chopped onions and 1 cup of Cheddar cheese. Stir over heat until everything is well combined and the cheese is almost all melted. Pour your mixture over your tater tots. Sprinkle on your remaining cheese.